Get your own Individual Tax Return Client Portal onto your website! Get your own client portal and provide a seamless and professional tax return service to their clients - online, anywhere, and anytime. Prospective clients can register and submit tax returns directly from your website to you for review and lodgment without the need to rekey data. 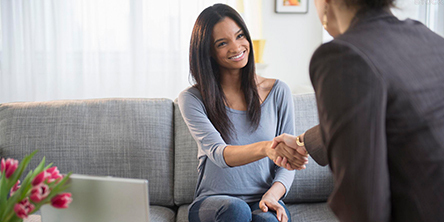 Clients can submit their personal tax return data to you without the need to meet in-person or in office. Clients can interact and provide substantiation documents for you to review their tax return and submit when ready. You must be a valid and active registered tax agent and have your own website. Registration is required to set up your account. What is the cost to have iTax Portal? The annual cost to have iTax Portal service is $5500. Is there limit of tax returns to be lodged? There is no limit of how many tax returns are submitted to you. If you have a valid Savvy Practice account, tax returns data by your clients are prefilled directly into the individual tax return form ready for you to review and submit to tax office when ready. How many tax preparer users can be on the system for lodgment at a time? The tax agent’s Savvy Practice plan has one user access. If your account has additional user license and you have given them access to clients and or tax return form. Then it is valid tax return preparers on the account. How many clients can I have? You can have unlimited number of clients and only pay for the annual fee. How many client users are able to sign on at a time? There are no limit to number of client users signing on at a time, which will very much depend on their internet access and your website’s internet hosting service. Does iTax Portal generate username and password for client signing up for the tax agent service? The first time your client sign up from your website via iTax Portal, they will be able to choose their own login details which is normally their email address and nominate own password. On subsequent years, will the client details be available for update with new tax return submission ? Client can use the same login to submit subsequent year tax return and access to their previous year tax returns record provided your website service is still in service. Tax agents will also have record of their clients and all their tax returns submitted for rollover and prepare subsequent years tax returns. How do I know when a client has signed on and submitted details for my tax return service? When your client sign up and completed their tax return application, they have the option to submit tax return to you for revision. When this is done, you will be notified by email. How do clients submit their substantiation document with their tax return? Client can attach their substantiation documents which are added to the iform. Can I prepare multiple years returns at the same time? You can prepare multiple year tax returns from 2012 onward. Does the client need to sign the tax payer’s declaration before submitting the tax return? Client can tick the tax payer's declaration at the time of submitting the form online to the tax agent. However, a soft copy of the signed pages should be attached, authorising the tax agent to lodge your return electronically as part of the compliance process. What is required to signup & use your software for tax returns? You must be a Registered Australian Tax Agent and must provide your active tax agent number, registered business (ABN), ELS credentials and complete the SBR ATO software nomination process. What do I need to do when I need to raise questions to clients for outstanding information? 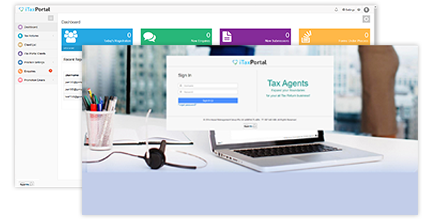 iTax Portal enables 2 ways communication enabling you to review tax return form submitted by the client and raise queries while going through the form. Client will receive the queries you raise via email which are directly updated on the tax return from their login and vice versa. Client can answer the queries you raise and update the tax return directly from their login. Does iTax Portal have inbuilt all schedules to meet my client lodgment requirement? iTax Portal is fully equipped with all schedules to meet your clients requirement. If in doubt, please contact our support team. Does iTax Portal provide payment option from clients for lodging tax return? iTax Portal does not provide payment option for your clients when submitting their tax return requesting for your service. You may wish to make payment arrangement according to your business practice.